With the annual Consumer Electronics Show (CES) in Las Vegas held last week I thought it would be a good time to get stuck in and see why Oculus VR’s ‘Bacon VR’ reckons 2015 will finally be THE year for Virtual Reality.2014 set so many milestones in the world of Virtual Reality with Oculus’s continuing progress, with release of DK 2 in March and a $2bn acquisition from Facebook, we also saw the birth of Google’s Cardboard and it’s first steps into the Advertising world with ‘#VolvoReality’, the announcement of Sony Computer Entertainment to bring Project Morpheus to the Playstation 4 and the U.S consumer release of Samsung’s gear VR. So what could we expect from 2015 to make it ‘THE year’. 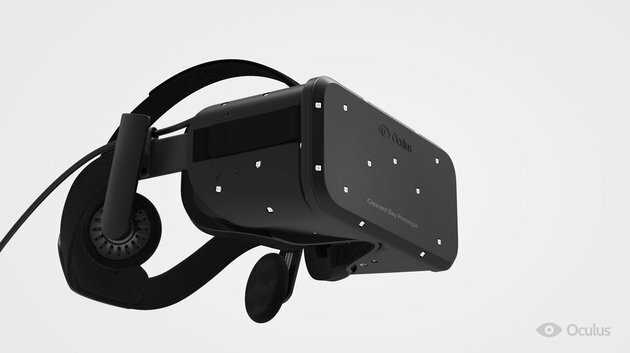 Leading the pack at CES ‘15 was Oculus with their new Crescent Bay prototype, featuring 360-degree tracking and an improved screen resolution from the DK2’s 1080p screen. Furthermore the Crescent Bay features integrated audio allowing for 3D audio specialisation, cleverly reacting to where users are moving their heads. Additional signs that Oculus’ focus on immersion is set to continue is their acquisition of Nimble VR and 13th labs last year. These are motion tracking/ environment mapping companies that may help Oculus to develop the necessary tools for user interaction within virtual scenes. Tokyo-based startup FOVE is a new consumer-oriented head mounted display (HMD) launched at CES this year. What makes this HMD different is its combination of eye tracking technology, with orientation sensing and position tracking, allowing users to control the 360-degree display with only their eyes. FOVE’s virtual world differs from that of other offerings as it replicates the field of depth that we see in the real world, meaning not all items are in sharp focus at all times. What is exciting is that this headset not only delivers improved experiences for gamers but is attracting the interest of medical researchers for helping those with limited mobility, such as motor neurone disease, with functions such as typing and playing musical instruments. With FOVE a part of Microsoft’s London venture Accelerators we could expect to see an integration with XBox in future releases. Born out of a Kickstarter in June 2014 ANTVR have followed suit, bringing full-immersion in VR one step closer. 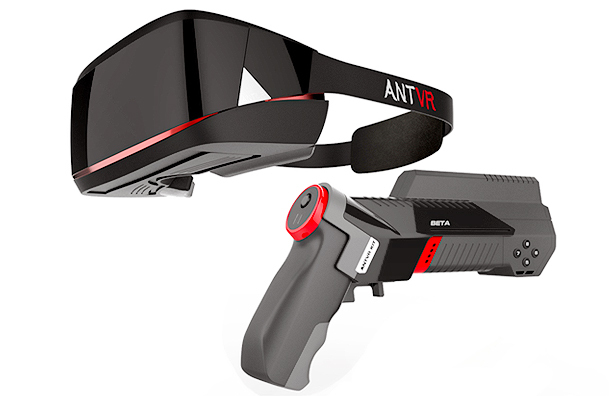 The ANTVR kit is an ‘all in one’ HMD that comes with a wireless controller that transforms into a variety of uses such as a weapon grip, steering wheel or traditional controller. The kit also features a one-step positional tracking system, allowing in –game movement through placing one foot forward, back or to the side. The surprise at CES 15 came from game hardware company Razer. Razer alongside VR specialists announced an Open-Source Virtual Reality (OSVR) ecosystem and supporting head mounted display, the OSVR Hacker Development Kit. The headset schematics can be downloaded to 3D print your own, or the headset will be available to purchase in June 2015. Developers will also have access to everything from game engines to software plug-ins and hardware development kits. Hopefully with an enlarged pool of research and development in VR there will follow further means to achieving improved immersion in VR. Taking a step aside from the HMD there are also companies out there looking at input options to enrich our experiences. Virtuix Omni unveiled their final design and is now available to pre-order. 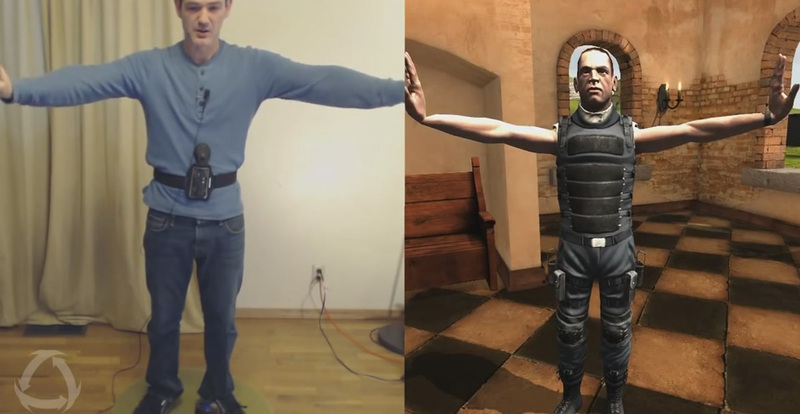 The Virtuix allows for free walking or running forwards, backwards, running and even jumping in-game with a new Omni position, orientation, direction device (Omni POD) located in each shoe. Also receiving much praise at CES ‘15 was the Sixense, STEM motion tracking system. The STEM can be attached to both the Oculus DK2 and Gear VR to provide positional tracking wirelessly for greater immersion. The STEM system supports up to five wireless motion trackers which can monitor position and orientation of head, hands, entire body or other configurations. From the numerous demos at the CES it is clear that a unanimous emphasis on bringing total immersion is what will hit the sweet spot to take Virtual Reality to the next level. Combined with a world-wide release of the already sold-out Samsung Gear VR and a potential consumer release of the Oculus Rift hopefully we will see a more eclectic and far-reaching interest in Virtual Reality than ever before, placing 2015 quite possibly in the running to be ‘The Year’ for VR. How will Oculus Rift affect our Health?